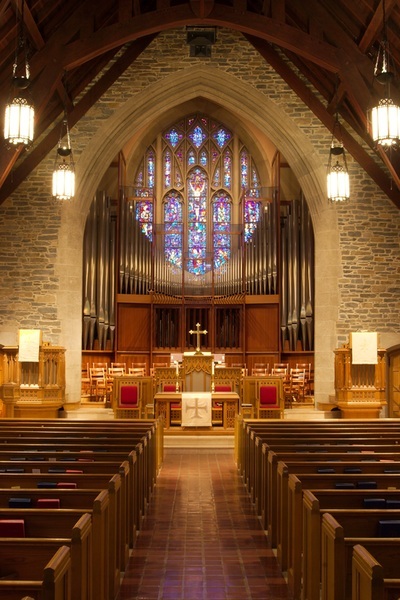 The congregation of Chevy Chase Presbyterian Church has always realized the importance of a fine organ as an ad­junct to worship. When they began making plans in the I920's for the construction of a new edifice, they paralleled these with plans for a new pipe organ. The congregation's concept of the pipe organ as an inseparable, intrinsic part of the total church fabric was evidenced by the service dedicating the church, organ, com­munion table, and baptismal font all together on May 18, 1924, at 4:00 P.M. The instrument was a 3-manual, 48-stop Moller, with 19 couplers and 20 combination pistons. 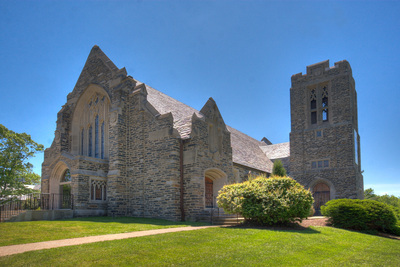 The pipes were in the bell tower behind the non-functioning display pipes still visible above the entrance to Johnson Chapel. The motor and blower were in the "Old Chapel" (which is no longer standing). Six years later, the organ was enhanced with the addition of a 6-stop echo organ placed in the west end of the gallery. On Feb. 17,1930, the echo organ was dedicated and a recital was given by Adolf Torovsky, Organist-Choirmaster of Church of the Epiphany, Washington, D.C. The placement of the organ in the bell lower made pipes, wood, and leather parts vulnerable to extremes of heat, cold, moisture, dust, etc., all of which contributed to the pre­mature aging of the instrument. 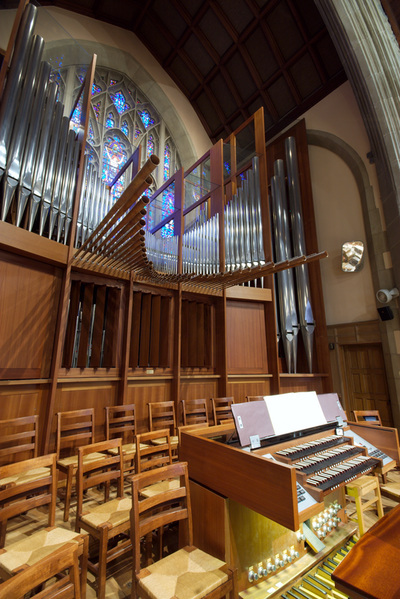 By the fall of I958 the organ had deteriorated to such an ex­tent that it was almost unusable, and the church was faced with deciding between a ma­jor reconditioning of the organ or the purchase of a new one. At that time, plans were on the drawing board for the lengthening of the chancel and the addition of a new chapel, and the old chapel (housing the organ's indispensable motor and blower) was about to be demolished. So in May, 1959, the decision was made to purchase an Allen electronic organ as an interim instrument until the proposed addi­tions were completed, at which time a new pipe organ for the sanctuary would be acquired and the Allen organ would serve in the new chapel. The organ dedication took place Oct. 8, 1959, at 7:30 P.M., followed by an organ recital by Lawrence Sears; thus began nearly 16 years of service by the Allen. The Moller echo organ was subsequently sold to First Baptist Church, 16th and O, Washington, D.C., where it is still in use today. The remainder of the Moller was eventually removed by the Newcomer Organ Co.
Plans for lengthening the church and building a new chapel were later abandoned, but the dream of once again having a fine pipe organ" never completely died. It was not until May 6, 1969, that this dream was brought one step nearer fulfillment through the wise advance planning of Dr. William H. Hudnut, Jr., interim minister, who on that day appointed an organ committee, which was charged to study the possibility of obtaining a fine pipe organ and to report to Session. The committee first met on May 15, 1969, and began a 5-year-long program of research and study involving both reading and listening. They heard, both "live" and on recordings, dozens of organs which differed widely in age, character, and quality. The ears thus educated began to pick the instruments of some organ-builders as being superior. Sixteen organ-builders were contacted during the first year, and several builders' representatives met with the committee on various occasions. Many builders felt it impossible to build a good organ in our sanctuary because of the extremely limited space. Although it is a well-known fact that ideal placement for an organ is on the axis of the nave, either in the front or in the back, this placement in our church seemed to necessitate covering all or most of either window. In addition to considering the basic "ideal" location and many modifications thereof (in the gallery as is; in the gallery extended in any of various configura­tions; placed in the existing chancel or in an enlarged chancel extended back; hanging on the sides of the chancel; on the present narthex floor with the balcony removed, the entire wor­ship center moved to the north end of the nave, and the congregational pews reversed to face north), the committee also considered every other conceivable location (on a platform to one side of the aisle in the rear of the nave, in front of Johnson Chapel, cantilevered out in front of the old pipes, and combinations of some of the above). All these plans were unsatisfactory either acoustically, visually, or economically. By the fall of 1970, the committee had nar­rowed the field of organ-builders being con­sidered down to three. Encouraged by Dr. Mar­vin's support of the organ project, the commit­tee requested proposals from these three builders. However, the project became virtually dormant because these proposals, when received, still gave no satisfactory answer to the placement problem. The Session (Oct. 10, 1972) reorganized the organ committee, which subsequently reopened dialogue with four organ companies to search afresh for a solution to the apparently insoluble problem. Much to the delight and surprise of the organ committee, a dramatic proposal was pre­sented by Rieger in Oct., 1973, for an organ en cased in glass, rather than the usual wood. This solution accomplished all three goals sought for years: (1) placement along the acoustically ideal axis of the church, (2) use of encasements around the pipes to project the sound forward into the nave, and (3) maximum visibility of the stained glass window. Session approved Rieger's proposal on Feb. 12, 1974, and authorized the organ committee to accept funds. On April 9, Session approved a fund drive by the committee, but with the stipulation that the drive must be ended by June 30. The seeming impossibility of obtaining enough funds this quickly was solved by Provi­dence in the person of Harry H. Steidle, who pledged two-thirds of the cost of the organ, contingent upon the congregation's meeting the challenge of supplying the remaining funds necessary for the construction of the organ and the renovation of the chancel. The organ com­mittee's campaign included printing and dis­tributing to every church member an ex­planatory brochure and two architect's draw­ings of the proposed organ and reconstructed chancel. The congregation met the challenge, and on June 11, Session authorized Trustees to sign the contract with Rieger Orgelbau. On July 10, the contract was signed and mailed, and construction of the organ was begun in Austria very shortly thereafter. 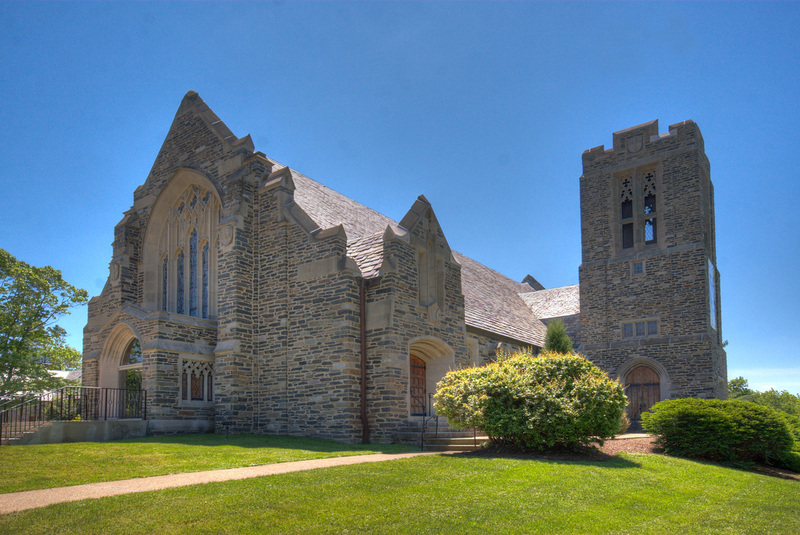 Chancel renovation was begun on April 14, 1975, by Martin Brothers on the plans of Dr. T. Gorman Mansell, architect. The organ arrived after a long boat and truck trip from Austria via New York and Baltimore on Wed., May 21, 1975. Five people worked two days to transfer the contents of the truck into the church. The casework, the mechanical and electrical parts, the console, and the facade pipes were installed by a three-man crew in two weeks; then the protective dust curtain was removed from in front of the chancel, revealing the visually nearly complete organ to the congregation for the first time on June 15. The longest part of the job, however, was voicing and tuning the thousands of pipes and making other fine adjustments, all of which constituted another seven weeks' work for two men. Finally, the completed instrument was first heard, by the contributors to the organ fund, on the evening of July 21, when Kenneth Lowenberg gave a lecture-demonstration. (Later that week the electronic organ was removed and taken to its new home, Church of the Redeemer Presbyterian in Northeast Washington, DC Proceeds from its sale went toward purchase of the new organ.) The Rieger was first used in a regular worship service on July 27, and it was dedicated in special services on Sunday, September 28, 1975.